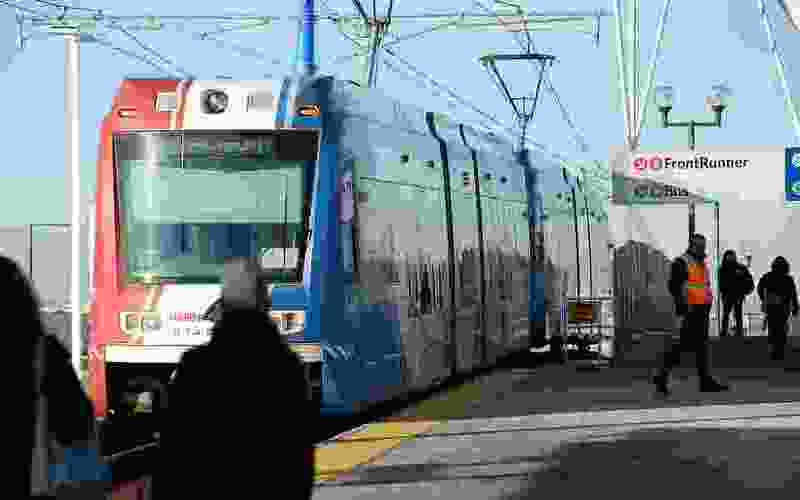 Rather than remain abandoned at the station, the scandal-scarred Utah Transit Authority board decided Wednesday to hop on the change train. It called a special meeting and voted 9-2 to pass a resolution supporting a legislative task force proposal to vastly reorganize the agency — hoping aloud that will give it at least some voice in ongoing debates about UTA’s future. Proposed changes include replacing the current part-time, 16-member UTA board with a full-time, three-member commission — designed to more closely watchdog and guide executives. Last week, the board expressed concerns that the new full-time commission would not be as tuned in to community concerns as the current trustees, who are appointed largely by the cities and counties the agency serves. But as support for change grows and as legislative leaders predict passage, UTA board members changed their tune Wednesday. “The elephant in the room is trust. We don’t have it with the Legislature … and we certainly don’t have it with the public,” said board member Troy Walker, who is also the mayor of Draper. But not all the board members were OK with that, and several said they feel falsely accused of poor management or worse. “Today, I feel indicted. I feel just as indicted as if I were standing before a judge,” said Necia Christensen, who has served on the board for 19 years. She said UTA should be praised for the extensive transit system it has built, “but what we have done it not good enough for the Legislature” nor the news media. UTA has been criticized for lax oversight that led to high executive salaries, extensive international travel and sweetheart deals with developers. Last year, prosecutors gave the transit agency immunity in an ongoing federal investigation into former UTA board members and others in exchange for its cooperation. Christensen complained that the UTA board had been criticized — she said justly — for lack of transparency by closing some of its board meetings. But the new proposal will allow the three-member board to hold discussions on day-to-day management without those being considered public meetings that need 24-hour notice and posting of an agenda. “When you revert back to the very thing that we have been criticized for — which is not enough openness, not enough transparency — I don’t see anything in this bill that’s going to guarantee that goes forward,” said board member Sherrie Hall Everett. She complained the legislative task force never met with the entire current UTA board about recent improvements it has made, and made a substitute motion not to pass the resolution of support and instead seek meeting with legislators to argue for a different reorganization. “That type of resolution will do more damage to this agency than working forward and working collaboratively,” said board member P. Bret Milburn, who is also a Davis County commissioner who was UTA’s representative on the legislative task force. He said legislators have said flatly that a full-time commission is non-negotiable. UTA should work for the bill, he added, because of other portions that could help the agency. They include allowing use of state highway funds for UTA, and a provision that if counties don’t adopt an authorized penny-per-dollar sales tax for transit, the state will impose it by 2022. Senate President Wayne Niederhauser, R-Sandy, predicted Wednesday that the UTA bill — which has yet to be introduced and numbered — will pass. He even supports essentially forcing the once-rejected Prop 1 taxes into law. He said the money is needed to keep up with demands created by quick population growth.